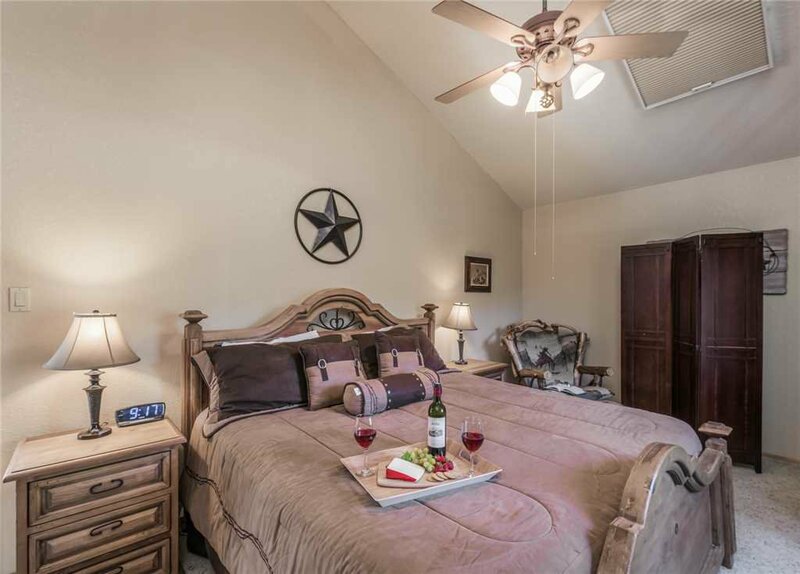 High atop a ridge in the Cedar Creek area you’ll find Rettig’s Rustic Retreat. 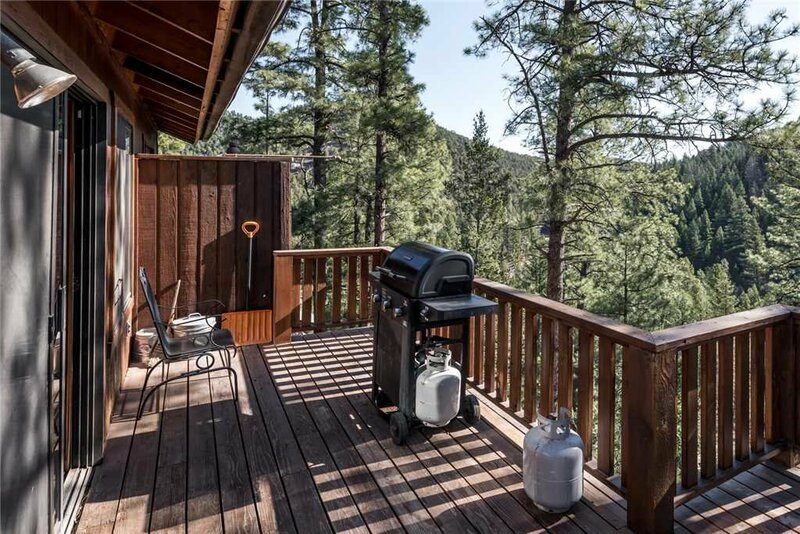 Though just a five-minute drive to the grocery stores of Ruidoso, the home feels far into the wilderness with its amazing forest views. From the moment you arrive, you’ll know you’re about to begin an extraordinary vacation. Even your mature dog is welcome at Rettig’s Rustic Retreat! 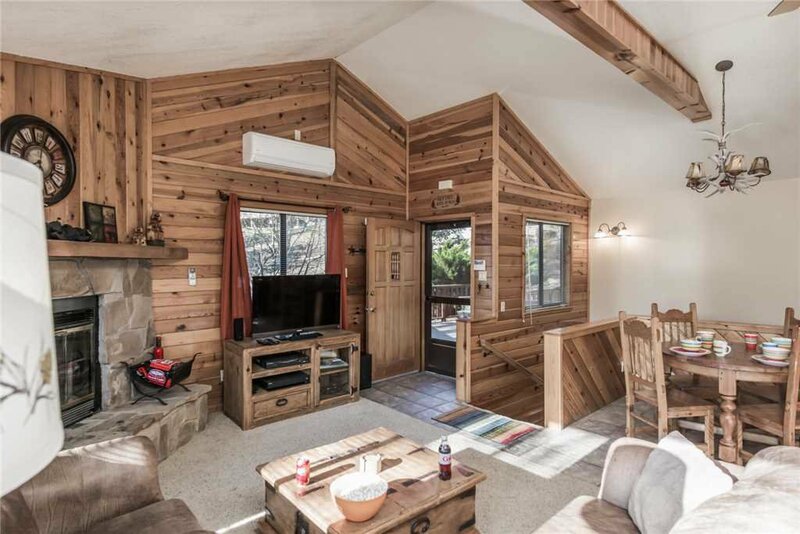 Rettig’s Rustic Retreat is a three-bedroom, two-bathroom, air-conditioned mountain home that sleeps up to eight when the sofa sleeper is called into service. 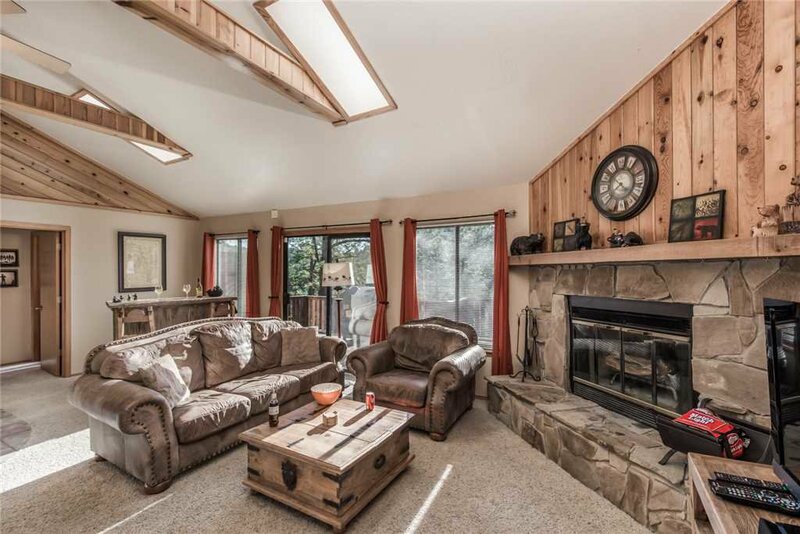 Nature is the star in this comfortable home and great effort has been made to bring the great outdoors into your living spaces. 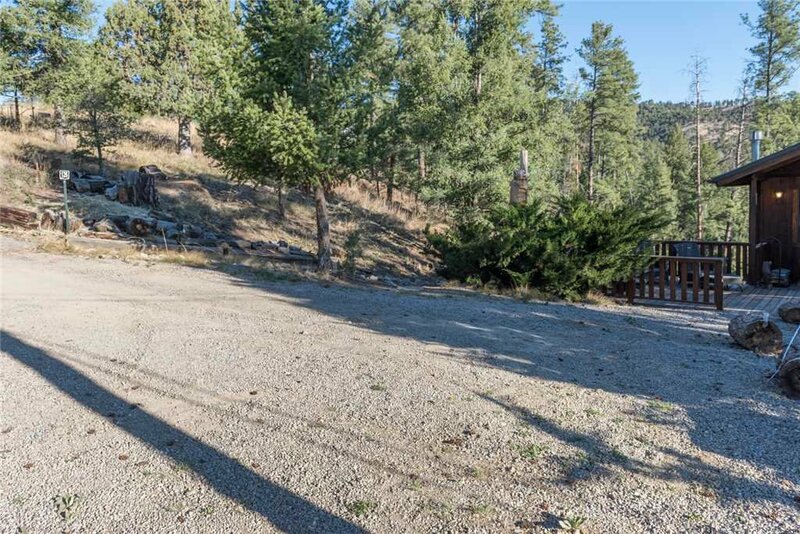 You also have plenty of spaces for outdoor enjoyment. 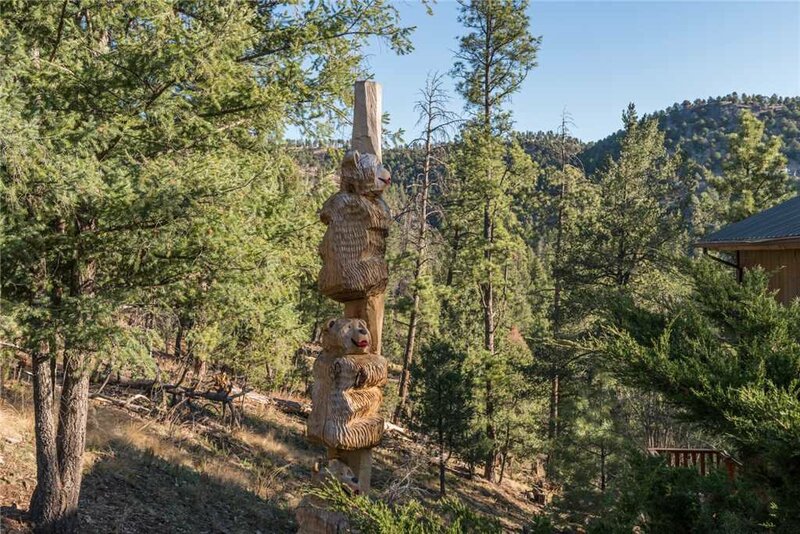 Gather around your wood-burning fireplace and share your day’s adventures skiing, hiking, skiing, golfing, or shopping in Ruidoso. 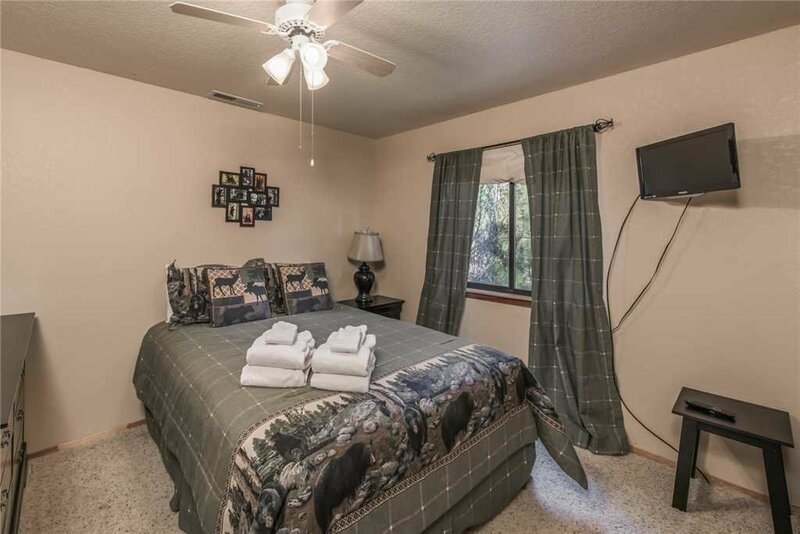 You also have a flat-screen TV with cable and a DVD player for additional entertainment options. 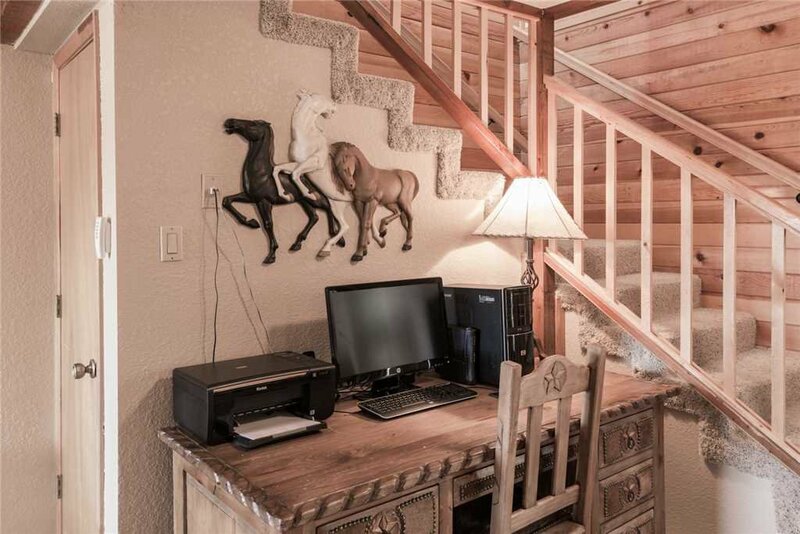 Even though you are high in the mountains, Rettig’s Rustic Retreat has free high-speed Internet so you can share photos of your alpine fun. 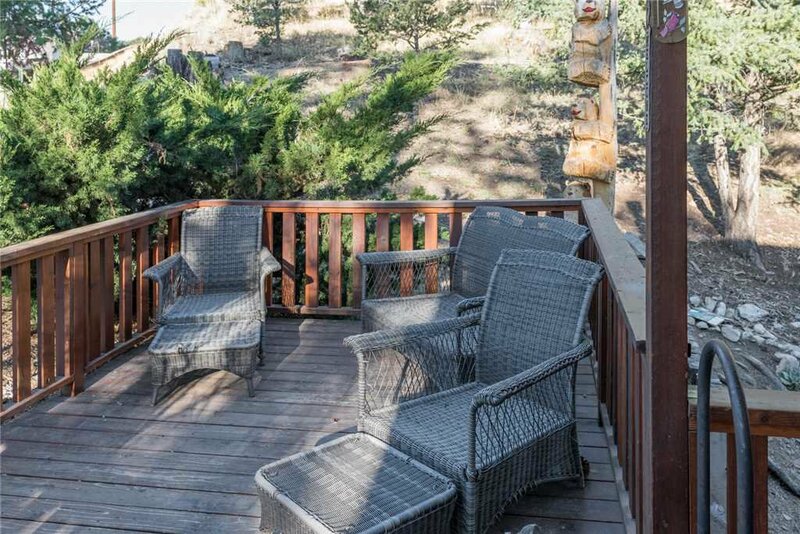 From your home’s main level, you can go directly out onto your deck where you’ll find a gas grill and table and chairs. 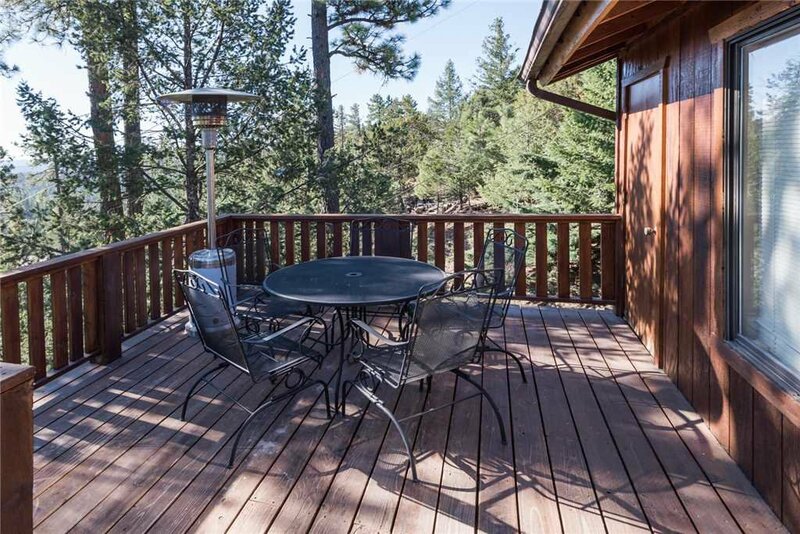 It’s so much fun to dine out on this deck, looking out over the mountains and towering pines. 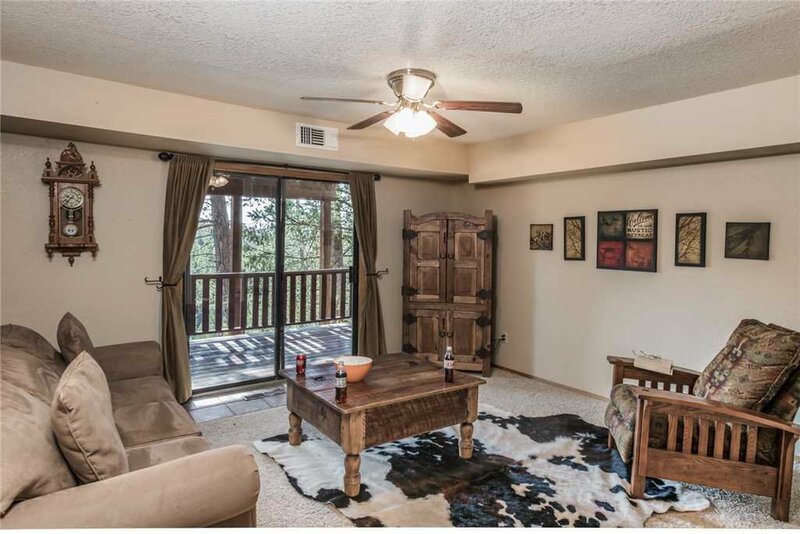 Your dining and kitchen areas are also on the main floor, close to the main living space. 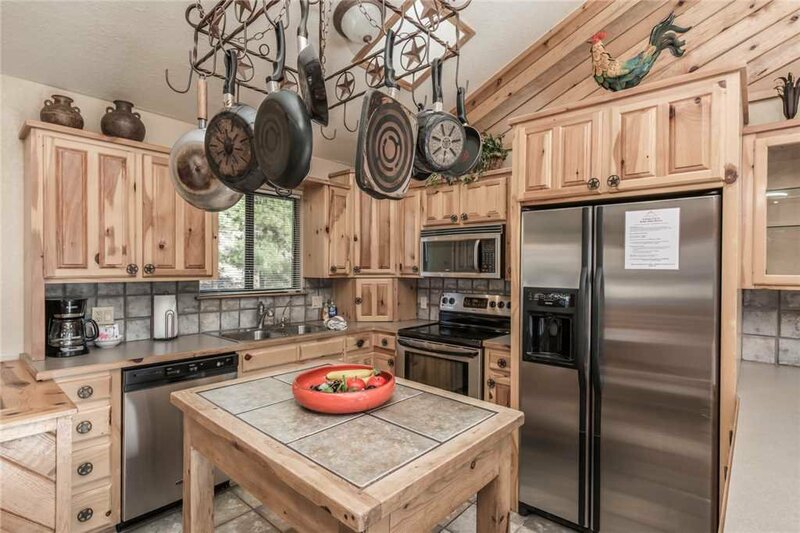 You’ll love the mountain charm of this kitchen, but don’t be deceived. 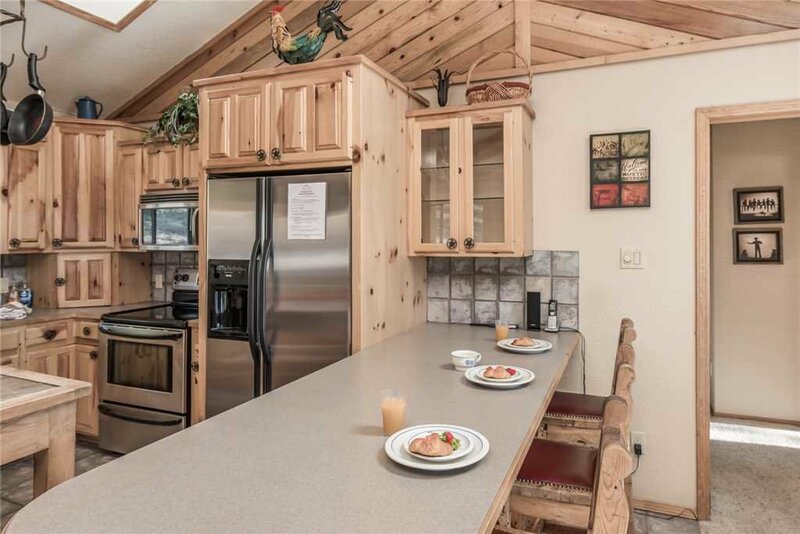 It is equipped with the latest stainless steel appliances and everything you need to cook and serve your favorite dishes to family and friends. 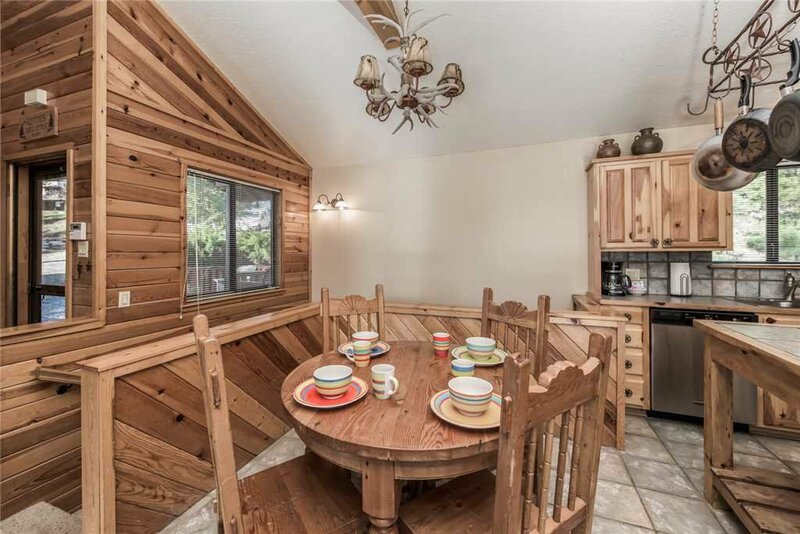 You can seat four around the dining table and an additional three at the breakfast bar, if needed. 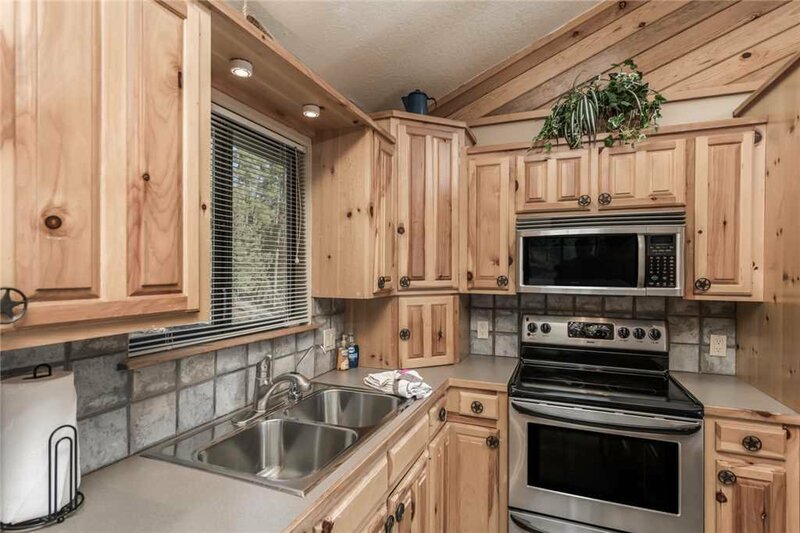 There’s also a washer and dryer available for your use within Rettig’s Rustic Retreat. We’ve tried to think of everything we can to make your stay as relaxing and hassle-free as possible. 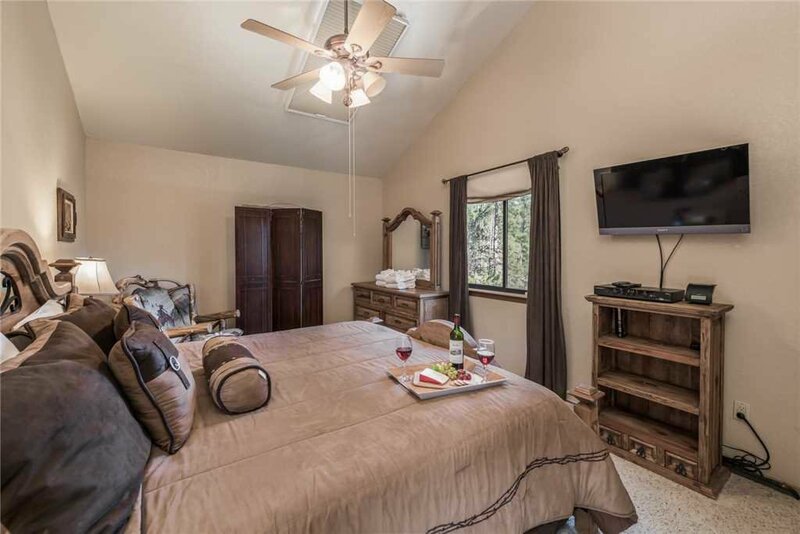 After you’ve spent the day taking in all the fun in and around Ruidoso, you’ll be more than ready to call it a day and head up to your master suite. Your king-sized bed will look and feel like a million bucks. In the off chance that you want to watch a little late-night TV, there’s a flat-screen TV mounted in the perfect position for bedtime viewing. 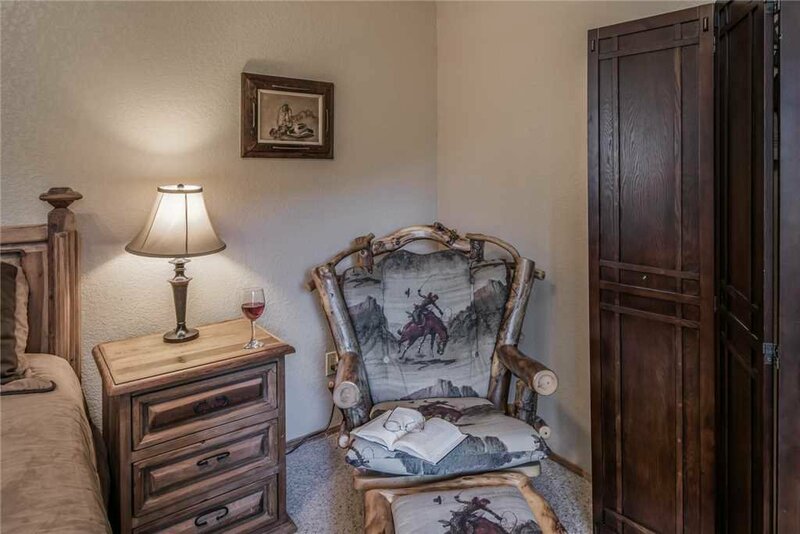 You also have a comfy rocker where you can sit and read by the lamp and a ceiling fan to lull you to sleep when you’re ready. 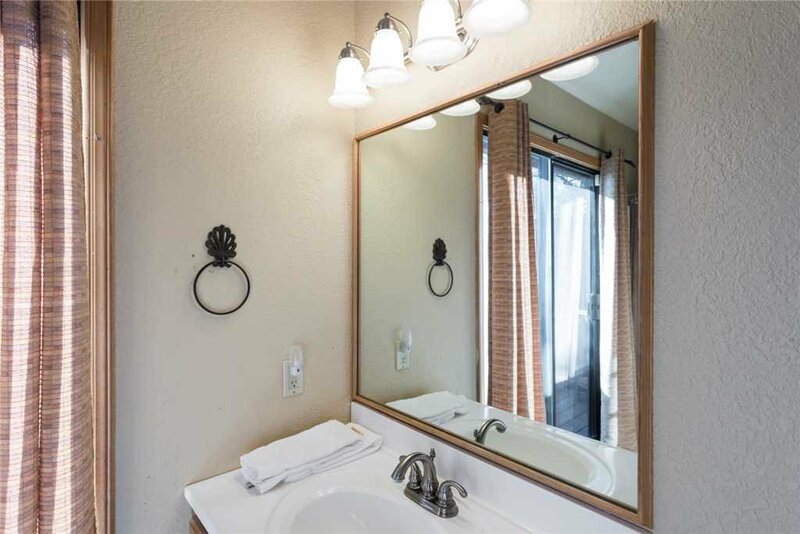 Your master en suite is close at hand complete with thirsty towels and washcloths ready to quickly get you out with your friends to enjoy breakfast in the crisp morning air. 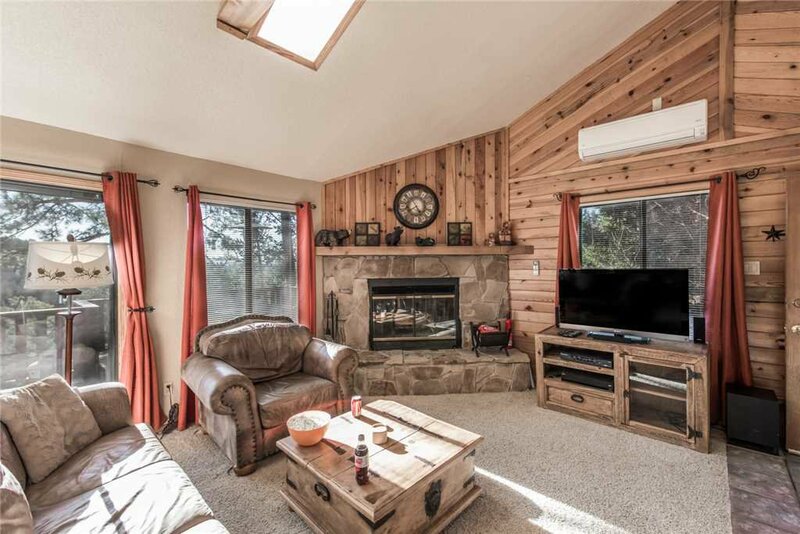 Downstairs at Rettig’s Rustic Retreat, there’s a den with its own TV, comfortable sitting area, and sliding glass door access to a second deck. What a pleasure it is to slip out and experience the change in the forest between day and night. 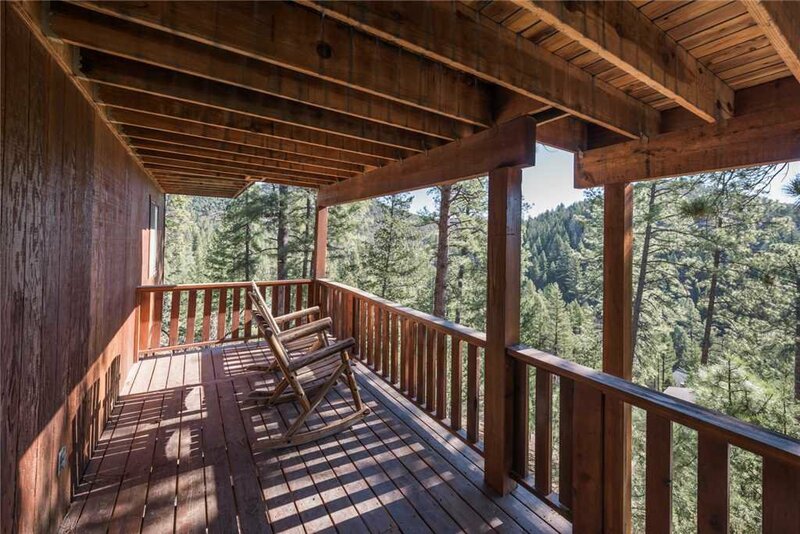 You’ll marvel at the stillness of the great outdoors. 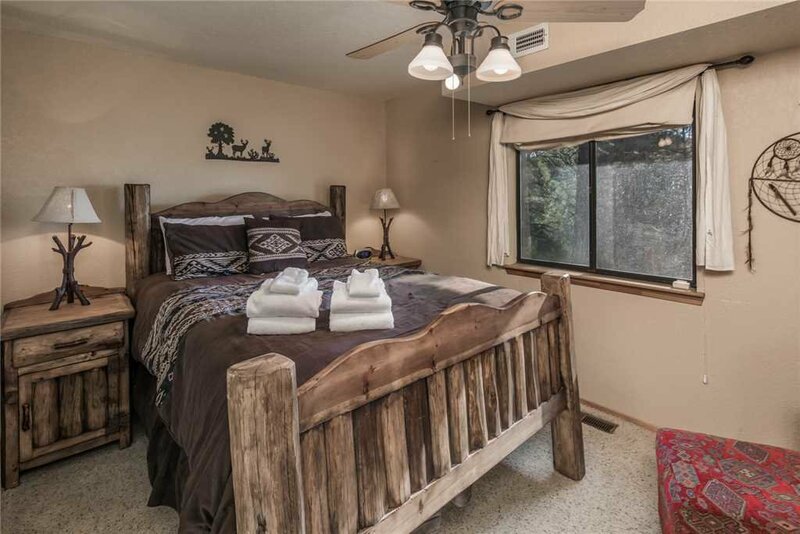 Rettig’s Rustic Retreat also has two guest bedrooms that share a second bathroom. These rooms are outfitted with queen-sized beds, ceiling fans, and windows onto nature. Any guest will be pleased to claim one of these cozy retreats as their personal bedroom. 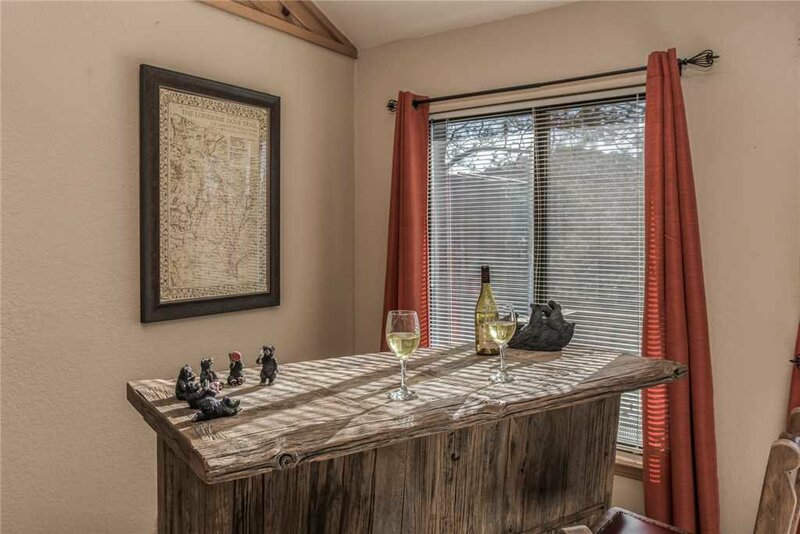 Getting close to your family and friends and having the special places to do so are what Rettig’s Rustic Retreat is all about. 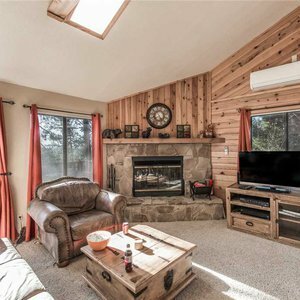 From the cozy living room and den to the bar where you can serve cocktails for your group to enjoy out on the deck, this is the vacation spot that can bring everyone together. 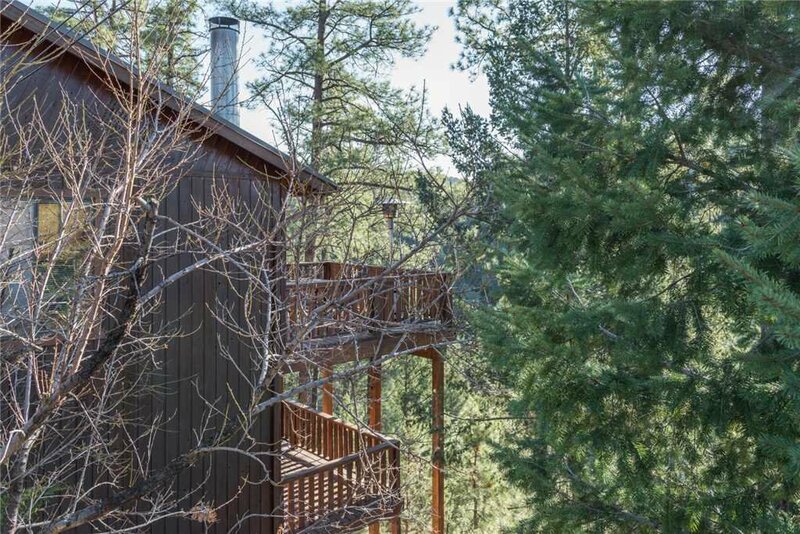 Make Rettig’s Rustic Retreat the site of your next mountain vacation. Please book early to secure your preferred dates. 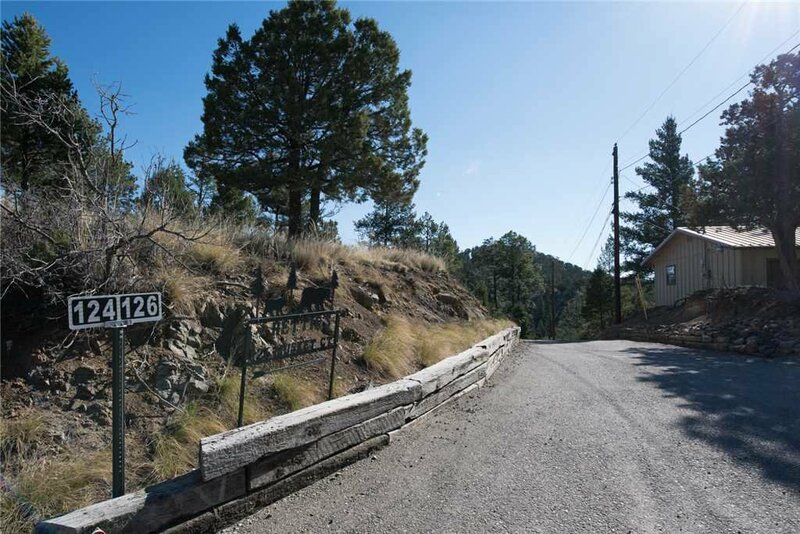 Please remember that Ruidoso is a mountain town with snow and icy conditions during the winter. This can affect driving and parking conditions regardless of the property, driveway, or roads.